Often times rescues come with a lot of baggage, but we have the patience! While the picture above of "Feral Jimmy" may not seem like much, it's a huge testament of patience and persistence. Jimmy came to us in the summer of 2015 after a contributor had been feeding him for several months. She contacted us for assistance and with the help of Duck Team 6, they were able to trap him and bring him to us. He spent two months at Morton's Small Animal Clinic while we made space for him. 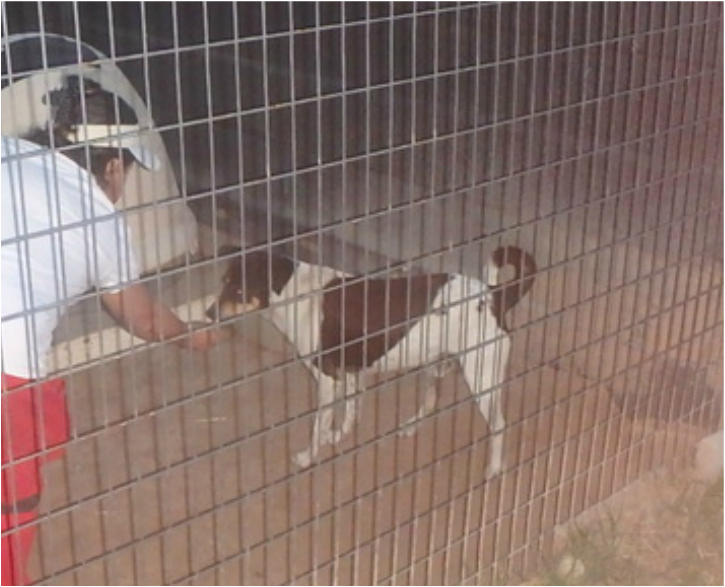 A temporary kennel opened and we were able to bring him home. It hasn't been easy though. Part of Miss Pat's rules are that each of our dogs are treated like a family member, provided individual care time and daily park visits. To date, we haven't been able to put a leash on Jimmy, hand feed him treats or give him tummy rubs. In this odd way, he's won over our hearts as we all try to win over his. This picture was just after Jimmy arrived. 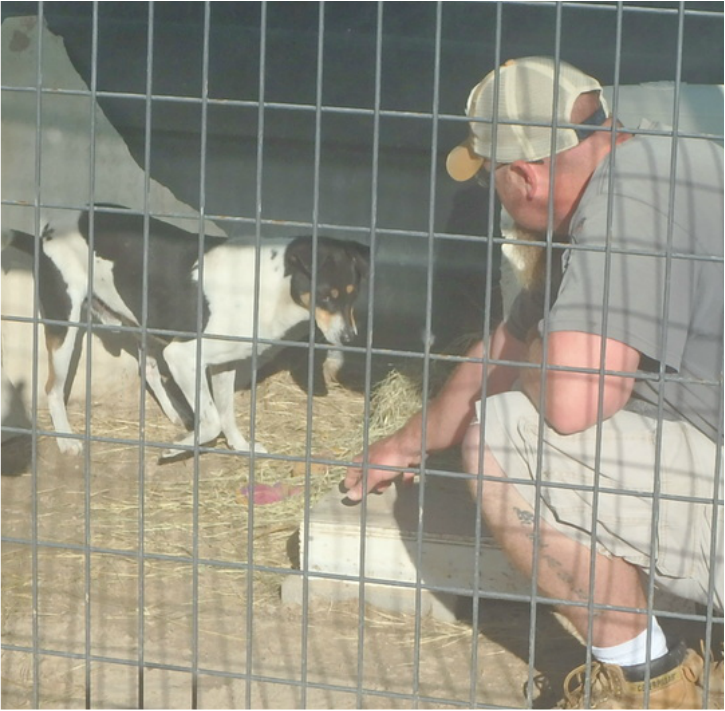 Our caregiver, Ronnie, is making it his mission (through ups and downs emotionally) to show Jimmy trust and love. We know Jimmy has grown to trust in us as he always lets us in to his kennel, he's just still scared and keeps his distance. He's learned the routine, knows when it's time to eat and is happy here, but we want to show him so much more! These pictures show our progress over the last three years as we patiently continue to pour our love and energy into making Jimmy a family member. They're not all easy, but we will never give up on any rescue and we'll always ensure they have a home here. When your mission and "rules" are as grounded as ours, it doesn't matter if the dog is new to us, of senior age, special needs, a newborn puppy or scared sensless. 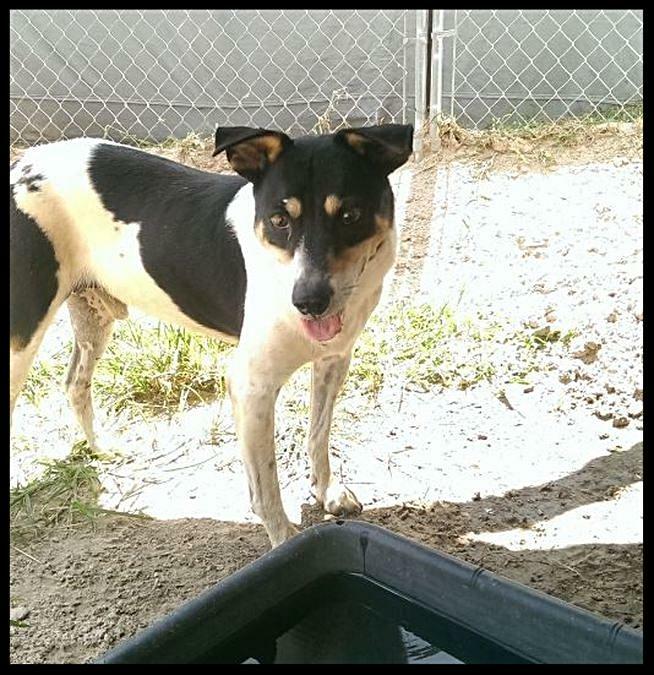 We continue daily to provide that dog with the 2 nd chance they deserve in hopes that one day they will find their forever home or live out their life in the comfort of our shelter & sanctuary. This exceptional loving care comes at a cost and we hope you will continue to help support our mission! Get ready for a Community-Wide Celebration! 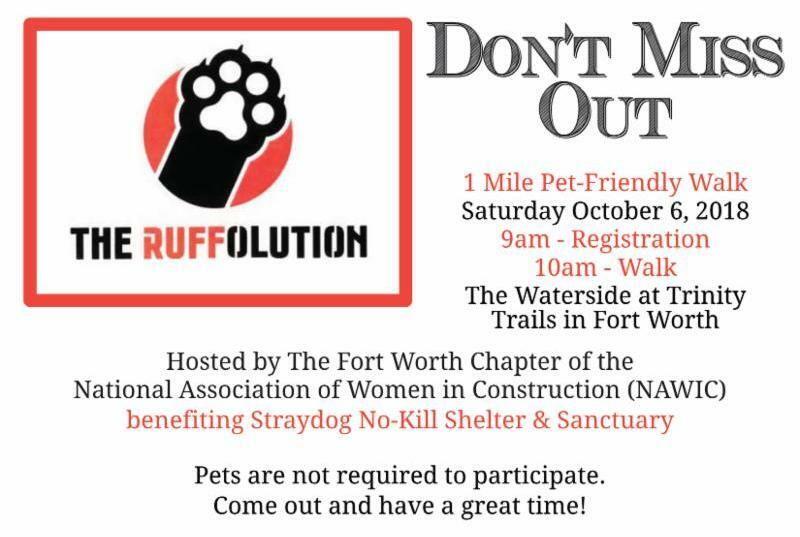 This day lifts up and highlights giving in the North Texas area to local nonprofits and WE ARE STRAYDOG is one of those! It's time to Be Apart of Something Bigger , no matter what size, every gift makes a difference as we Make Tomorrow Better ! This 18 hour giving extravaganza starts September 20, feel free to lock down your donation by scheduling it starting September 10. 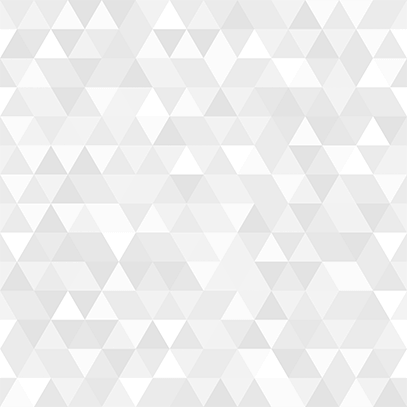 As we get closer to the big event, ensure you like our Facebook page for up-to-date stats on how we're trending and if we're breaking our record, set last year! We'll be there in full force with some of our best rescues! You never know who might be your next walking partner! 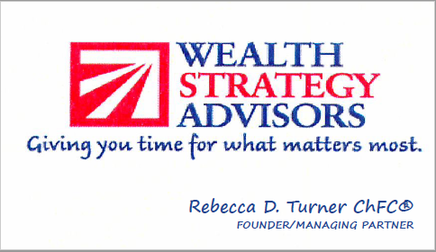 A shoutout to these sponsors helping provide a successful walk in support of NAWIC and Straydog! 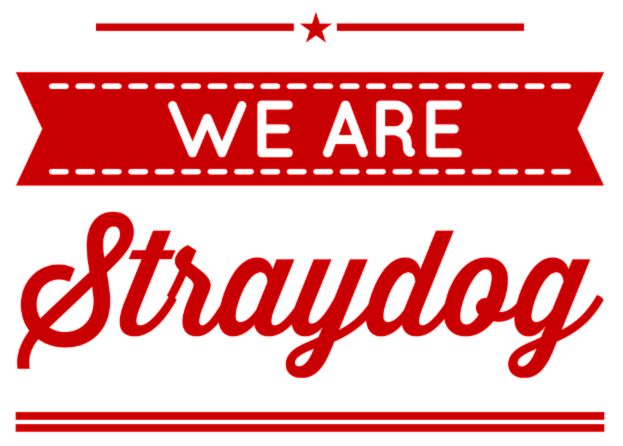 For a recurring donation of $25 or more per month, you can become part of the Straydog Squad. 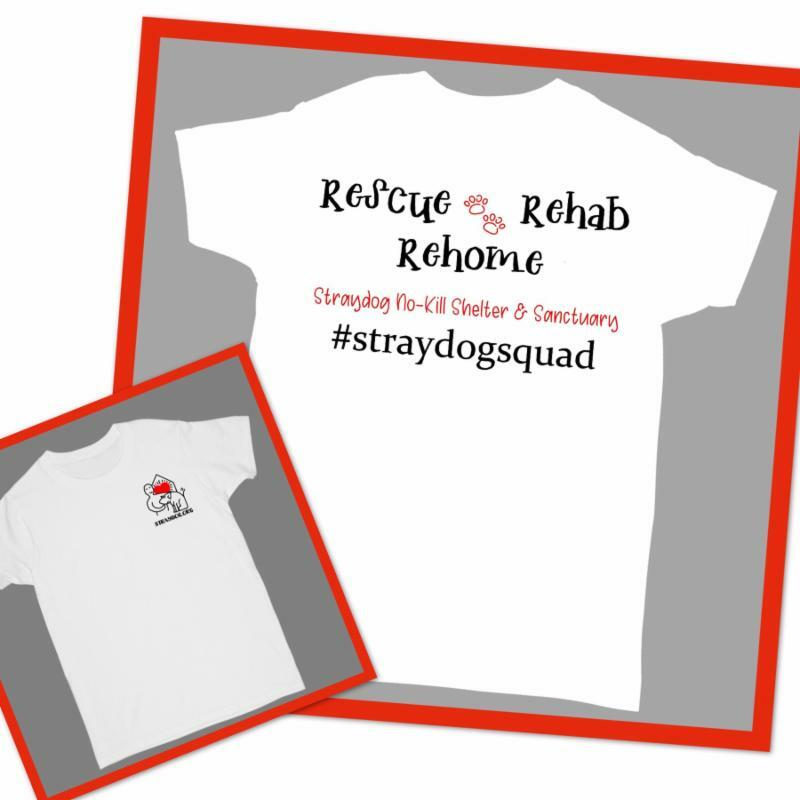 And as a Thank You, we'll send you this awesome shirt specifically for our #StraydogSquad!